Wheat can be found growing in the wild between the seasons of Spring and Late Summer, and has a chance to regenerate during those seasons every year. Harvest the plant to obtain wheat seeds as well as an average of 14 oz of wheat if the crop is mature. Wheat requires a minimum temperature of 4℃ to grow, and a minimum temperature of 0℃ to stay alive. Wheat is a Nutrient A crop. Four pieces of Straw will drop as well. Once refined into grains, wheat can be eaten directly, or turned into bread. Wheat dough and flour are inedible. Consuming wheat replenishes the grain nutrient category. Processing wheat into bread doubles it's weight, providing more food from each harvest. First, the grains are ground in a quern to produce flour. Next, the flour is hydrated with a bucket of fresh water to produce dough which is double the weight. If the flour weighs more than 80 oz, crafting the dough will leave the flour in the crafting grid, minus the 80 oz used to create a max weight piece of dough. Finally, the dough can be cooked in either are firepit or a forge to produce edible bread. Wheat grains can be used to breed Cows, Horses, Pigs, and Sheep. Just like the player, animals consume 5 oz of the food's weight each time they are fed. Use a quern Gatherer Grind something in a quern. Scythes can be used to harvest wheat. Added Wheat flour, dough and bread. 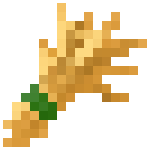 Wheat grain can be broken down into seeds by placing the item into the crafting area. 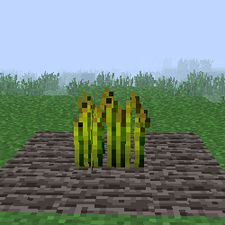 Wheat can be found growing wildly in patches in newly generated chunks. Wheat no longer dies from old age by default. Added a config option 'enableCropsDie'. Added getting straw from refining wheat. Wild wheat respawns every year between the seasons of Spring and Late Summer. 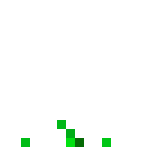 Wheat seeds can only be obtained through harvesting crops. This page was last modified on 8 November 2014, at 06:05.